Madeline broke 3 of her nails just before her appointment and requested for them to be extended, but all of her nails were quite short so she decided to get extensions on all of her nails! 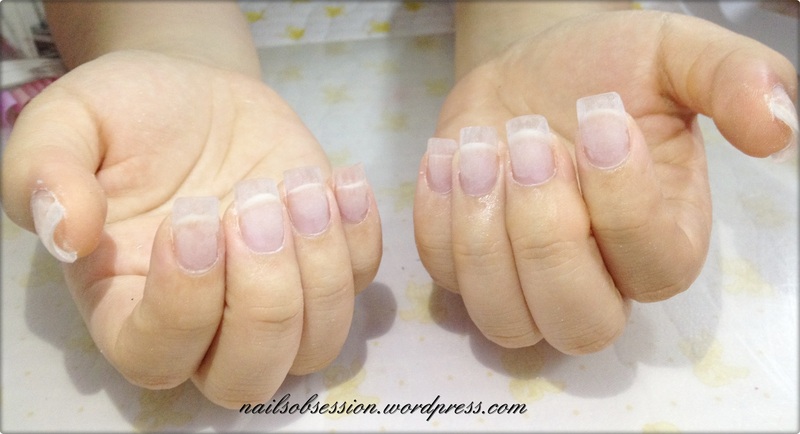 Her nails are flat and short, with relatively small nail bed, hence this type of nails are the most suitable to do acrylic extensions (sculpture). 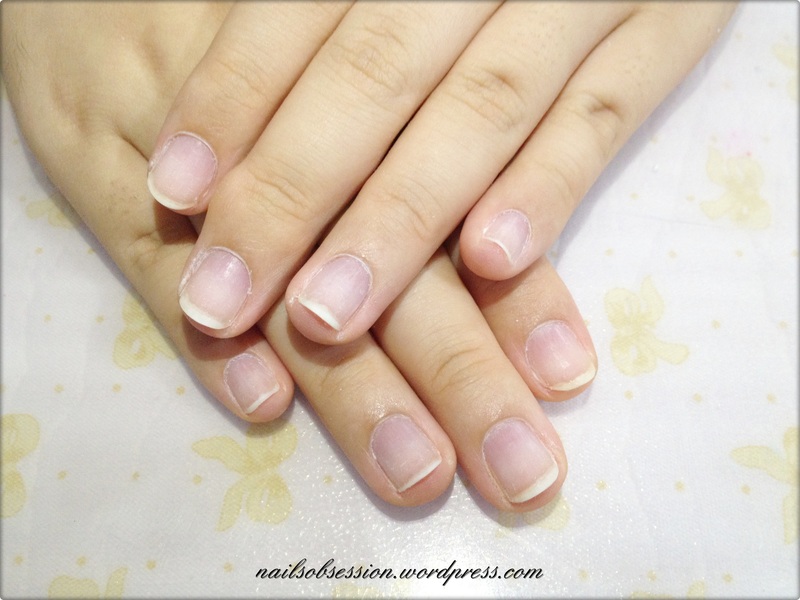 By doing nail sculpture extensions, we’ll be able to create the perfect c-curve and arch for her orginally flat nails! 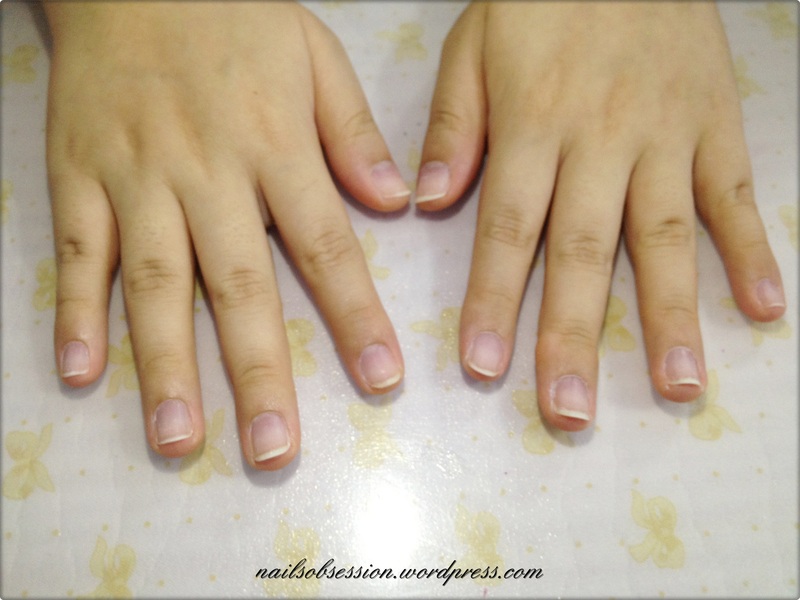 I don’t usually do blog post of nail extensions but I thought it’s good to share the different kind of nails for different type of extensions. Almost all of the nails are totally flat and only her pinky nail has a lil’ c-curve! After acrylic extensions and offshine. I know it’s quite difficult the see the difference.. I forgot to take a front view of the extensions zz. Usually I’ll cut the original nails before extensions but she wanted her real nails to grow so I didn’t cut it off since the free edge is less than 1 mm in length. Madeline wants it to last as long as possible so we decided with this design, with a glitter base so that it wouldn’t be too obvious when it grows out! 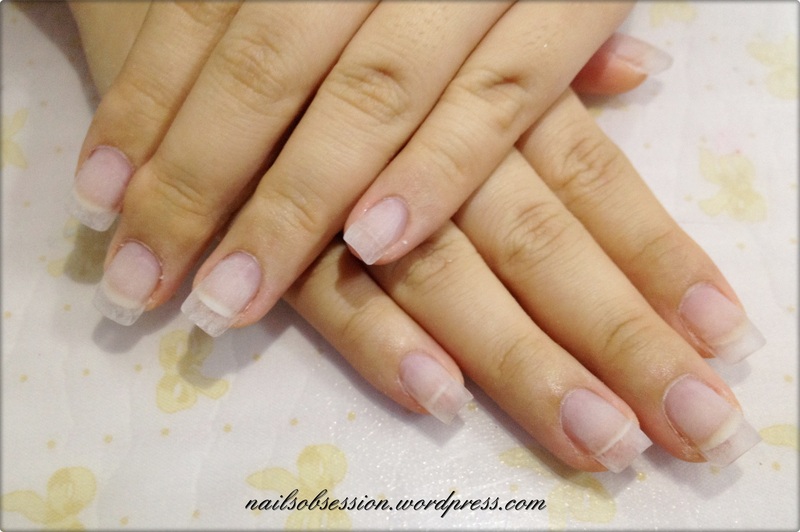 Acrylic nail extensions are only at $80/set, call/SMS 97126428 to book your appointment now! !